This bicycle will definitely not go unnoticed. 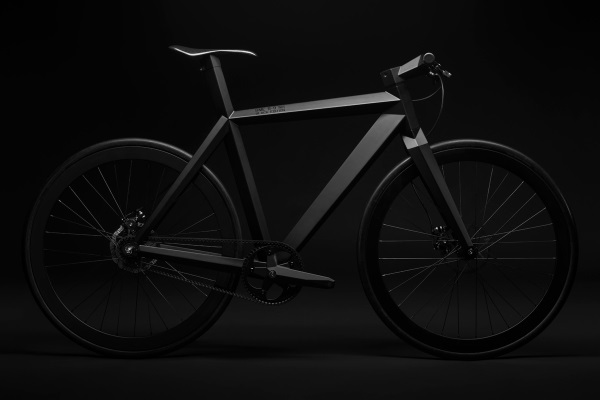 Paying tribute to the U.S. Army’s famous F-117 Nighthawk aircraft, Slovakian designer Brano Meres created a black carbon bike that is pure stealth… and 100% functional. Handmade by BME Design, the B-9 NH Black Edition Urban Stealth is solidly built to take on the urban environment. Single speed (belt drive) with disc brakes, it needs very little maintenance. And while it blends into the night thanks to its matte black finish, the B-9 NH is equipped with the ingenious Atomic 22 anti-theft system. Silent and refined, the B-9 NH’s unique military-industrial design is guaranteed to turn heads. Only 100 will be produced in the workshop in Bratislava, Slovakia, each selling for around $11,000.